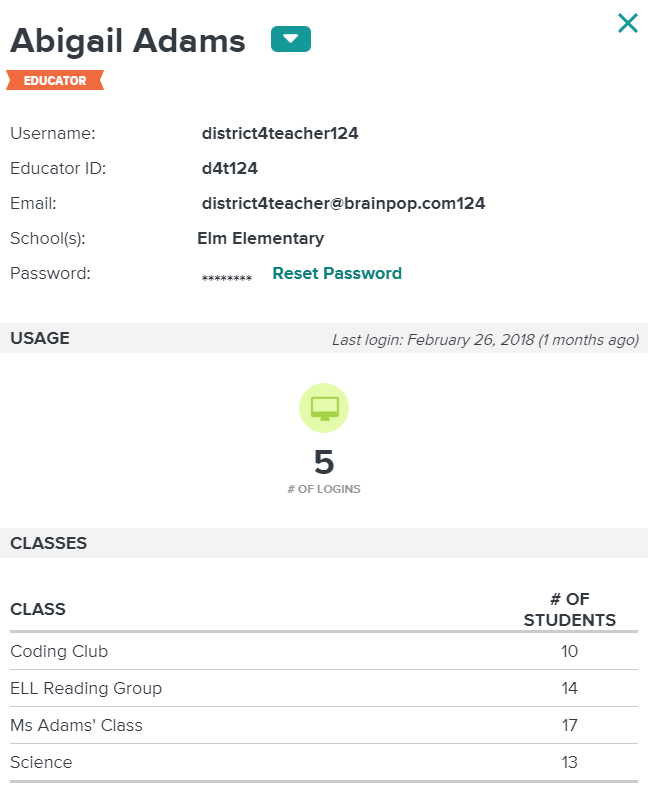 My BrainPOP administrators can view information about their district subscription and usage data in the District Admin Dashboard. 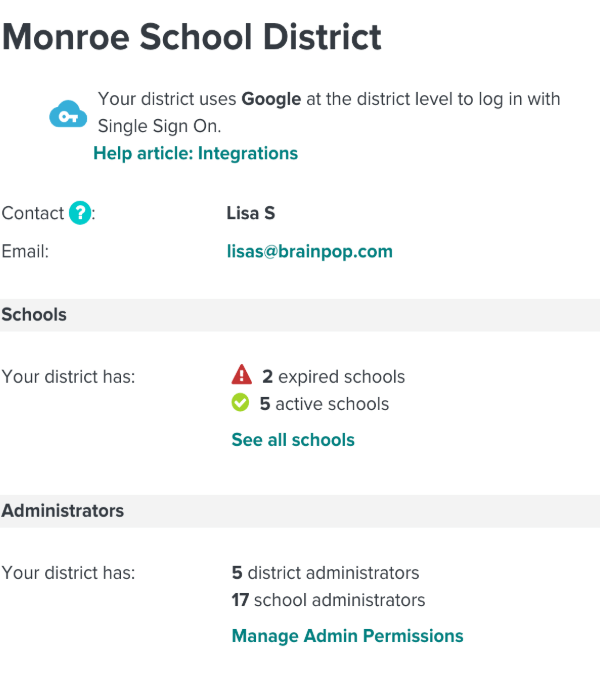 Here you can view the district's subscription information. 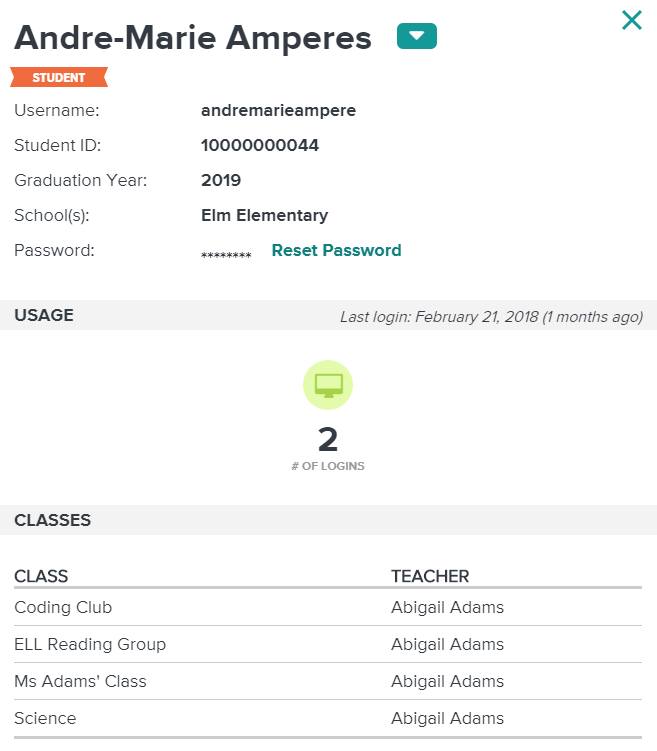 The number of features students have completed, like watching a movie, taking a quiz, making a concept map, and playing a game.